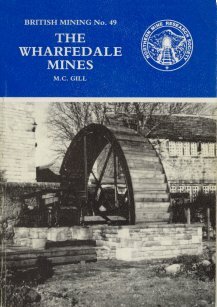 This work complements the writer's 1993 monograph on the Grassington Mines by giving a detailed account of the history of lead mining and smelting in Upper Wharfedale between Barden and Buckden. This area had very few large mines and it is likely that many miners also worked part-time as farmers. In spite of this, the industry played an important part in the local economy until the late 19th century. The monograph also looks at the small, but locally important, coal mining industry which provided fuel for domestic purposes and some for lead smelting.